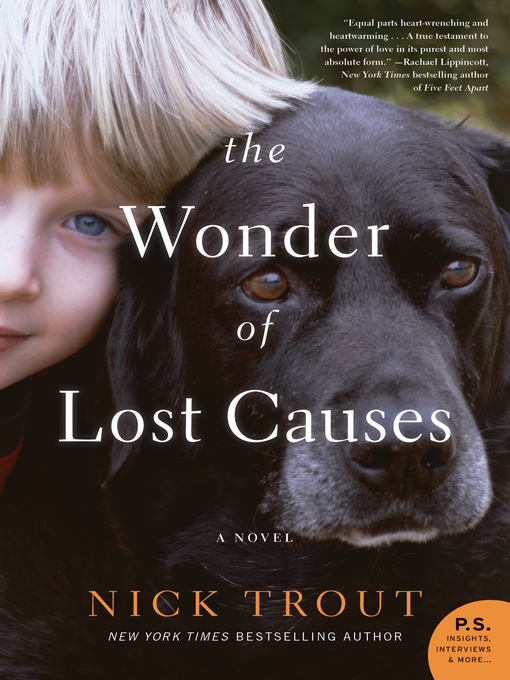 In this unforgettable novel, perfect for fans of An Unexpected Grace and A Dog's Way Home, a single mom and her chronically ill child receive a valuable lesson from an unlikely source—a very special dog who unexpectedly enters their lives and shows them that one person's lost cause can be another's greatest gift . . .
Dr. Kate Blunt will do anything for her son, Jasper. Well, almost anything. Since Jasper has the incurable lung disease cystic fibrosis, Kate's always told him he couldn't get a dog. It's a tough call, but she's a single mom taking care of a kid who fights for every breath he takes. The daily medical routine that keeps Jasper alive is complicated enough. Worse still, Kate's personal resolve runs contrary to her work as the veterinarian in charge of a Cape Cod animal shelter, where she is on a mission to find forever homes for dogs in desperate need. The scarred, mistreated wreck of a dog that turns up doesn't stand a chance. Named Whistler, he's too old, too ugly. But the dog forms an instantaneous bond with Jasper. Whistler never makes a sound, yet he speaks to Jasper in a myriad of mysterious ways. The clock's ticking, the dog's future hangs in the balance, and Jasper would do anything to find him a home; but Whistler has chosen them—for a reason.